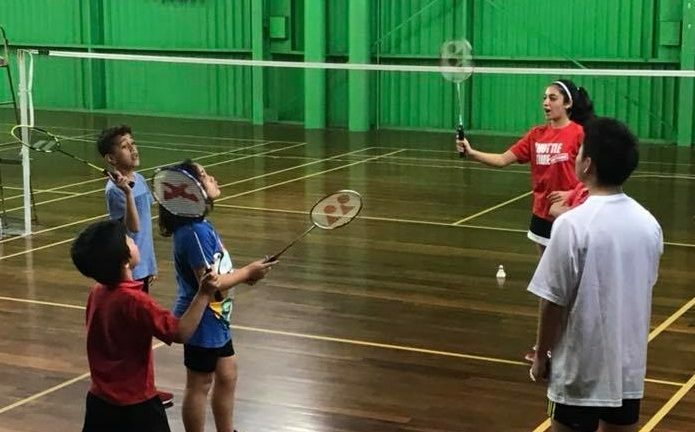 Last October to December, Badminton New Zealand piloted the Shuttle Time Youth Leadership Award in Waikato and Hawkes Bay. The Shuttle Time Youth Leadership Award objective is to develop school students aged between 15-18 years old the ability to work towards delivering badminton in school, club or association environments and transitioning from Foundation to Development Coaching. The award also allows students the opportunity to gain experience in sports leadership and badminton; and to deliver safe, fun and inclusive badminton lessons to school pupils. The Shuttle Time Youth Leadership Award covers both badminton and leadership tasks and is delivered in a modular format. The course can be broken down into 5 core modules and 2 supplementary modules which are all linked to the Shuttle Time Programme. The duration of course is flexible and can be delivered in a variety of formats to suit the needs of Schools, Teachers and Students. The sessions were run for 1.5 hours for the first 4 sessions, and finished with a 2-hour final sessions. These sessions were completed on a Tuesday evening. It was great to have the course completed over a few weeks, as it allowed the students to go away and process the information delivered in each session. At the start of the final session we had the students coach the local junior summer club. This was extremely beneficial as every student fully engaged in the coaching session, even more so than they had when they were coaching each other. The 2-day course pilot for the Student Youth Leadership Programme course was well attended just before school holidays. The course content was again well suited to the students and the module timings easily fit into the allowed time. 2 days of training for students was good, but 1 bigger day plus some follow up sessions in the following weeks is also an interesting option. Students were delivering to each other during the course as a coach developer model – getting them coaching. Stay tune for the official launch of the Shuttle Time Youth Leadership Award.